Friday could mark a critical juncture for South Africa’s Jacob Zuma as senior figures from the ruling African National Congress gather for three days of talks. President Zuma is a controversial figure; he’s survived multiple no-confidence votes since taking the top job in 2009. But with the support of his party, the president has seen off all such challenges. However, this very support is now in question. Mired by corruption scandals, the ANC fared poorly in last year’s local elections, losing control of Johannesburg and Pretoria. Zuma’s dismissal of respected Finance Minister Pravin Gordhan in March further divided the ANC—some have even called for his head. It’s this that is rumoured to be up for discussion at Friday’s summit. Technically, only parliament can force Zuma to step down. 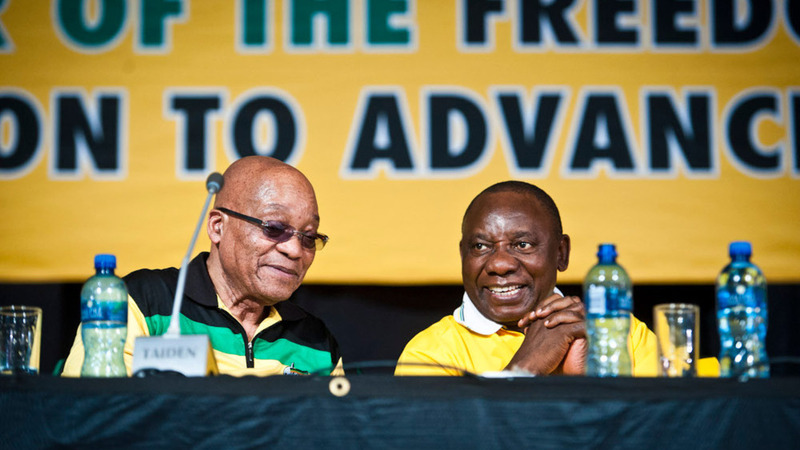 But with an overwhelming majority in parliament, senior ANC leaders can force the president’s hand if enough lawmakers agree to support a no-confidence vote. Deputy President Cyril Ramaphosa is most likely to take the reins if this happens, although he insists it “shall not”. Indeed, by most accounts, Zuma still retains support within the ANC. However, serious questions remain about whether he’ll make it to the end of his term in 2019.